We offer 2 Charting and Scanning Packages. Our Premium Featured Charting Package is our Active Trader Setups Trading Package with our ATS Bar Chart Trader and includes all (as shown on this website) charts, scanners, and our Proprietary Real Time Projection Alerts which utilize our Factor Charting System to project and activate our Trend Shift Watch Trigger Prices on the Real Time charts prior to the Actual Trigger. Along with our other indicator's included in our package, our Blue Diamond Reversals, Key Level Markers plotted on our Customized Proprietary Ichimoku Clouds, STSEdge, STSForce, and our Power Momentum Alert. Our Active Trader Setups Trading Package requires historical tick data and is available for use Exclusively on NinjaTrader Platform. Historical Tick Data can be obtained from many data providers. (It is possible to record data on predetermined symbols so long as you never miss a day of connection to your data source with TDAmeritrade data, if you have a TDA account) A Real Time Historical Data provider is recommended. Kinetick or IQFeed are our preferred data providers. Active Trader Setups Trading Package latest update version includes our proprietary ATSWickAlgo candlesticks for predicting and maintaining maximum trade advance movements. 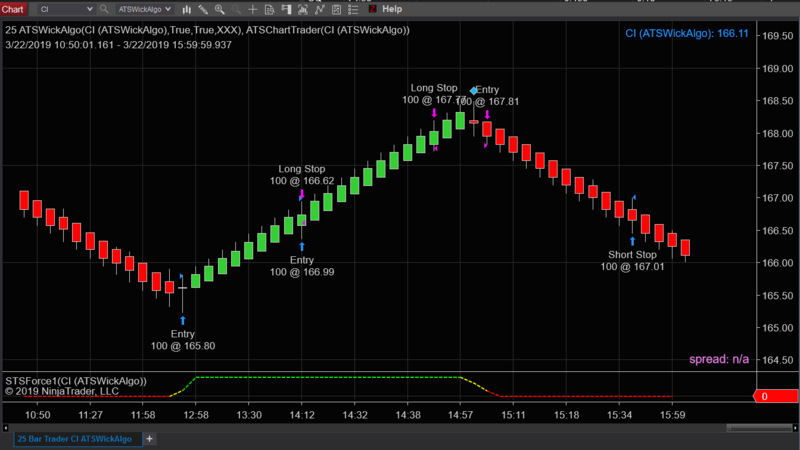 ATSWickAglo Bar creates the powerful ATS Bar Chart Trader. Our DTS Ichimoku Scanner version mated with our Factor Algo charts creates predictable trading patterns and Support / Resistance Levels. These levels are marked and alerted with our Key Level Marker Indicator. Our Blue Diamond Reversal Indicator picks up the earliest and safest directional changes and also creates the trigger levels traded by our ATS Bar Chart Trader. 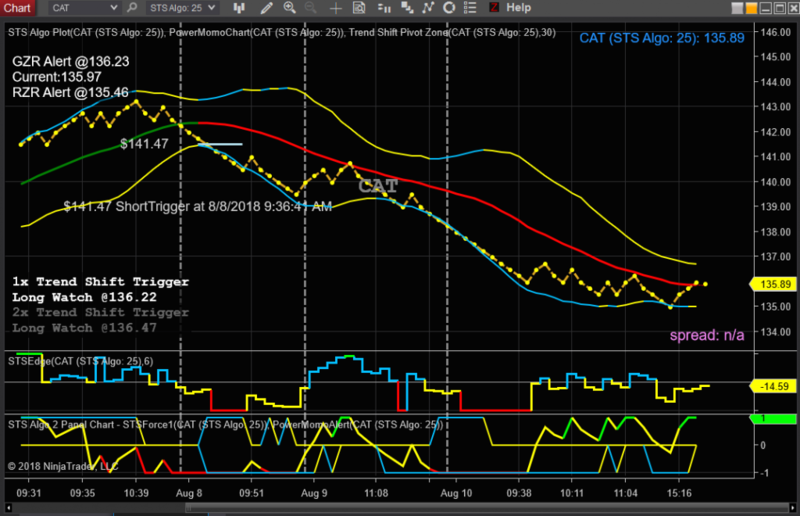 Which we have used to create our Optional Blue Diamond Auto Trading Strategies trade is traded with our Auto Trade Version of our ATS Bar Chart Trader for the NinjaTrader 8 Trading Platform. 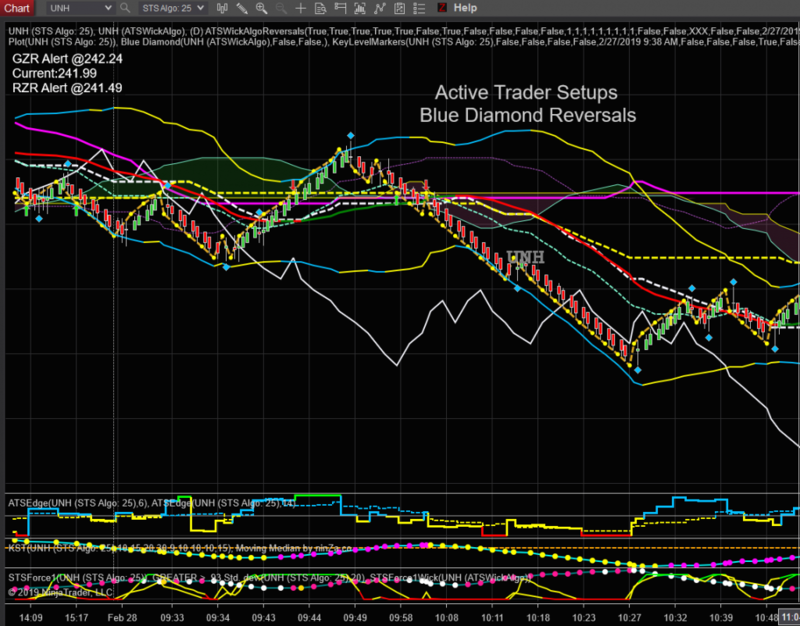 Without Auto Trading the Blue Diamond Reversal indicator will give alerts at the same levels. And the ATS Bar Chart Trader is Included in the Standard Charting Package. Our personal Minimum System recommendations for use with the Active Trader Setups Trading Package (using Historical Tick Data) is 2.0 GHz Processor and 8.0 GB Ram. Windows 10 Uses much of a 8.0 GB Ram so 16 GB Ram is much better. This is the ONLY option to begin using the Active Trader Setups Trading Package. Plan to attend Education and Training Events. All Fees listed below are included in the above Payment Subscription. The Full 4 Months Subscription is paid, the one time Setup and license fee is paid. Access to our members area and on going weekly education and Question & Answer Sessions. We also have a Gathering Room as a courtesy to Share Trading Ideas. No Contract to Cancel. To discontinue simply do not renew in the future. Blue Diamond Auto Trading is an Optional and additional charge product. It utilizes the ATS Bar Chart Trader with a Auto Trade Option to reset every time there is No Position to reenter in either direction when triggered and exit on Auto Bar Trail. ** This is not a likely option for most traders. Manually Enabling our ATS Bar Chart Trader (included in our base package above) for each trade is best and allows traders to evaluate why they wish to place a trade. The Auto enabled trade option is for the hands off trader that generally trade Longer term trades that likely endure many days on our higher algo factor charts. Pre Approval required and is based on Clients attendance and participation in Training and Education No Charge Events. We want to be completely sure you are educated on all the benefits and inter workings of our Charts and Candlestick Patterns. Our Goal is to NEVER lose a client.